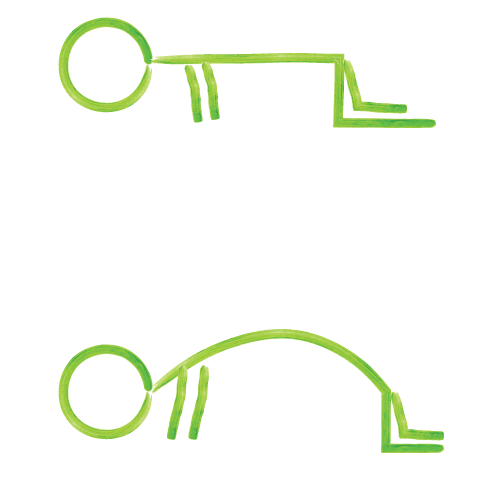 Round your back and extend your shoulders. Pull your shoulder blades away from your spine. Imagine a string pulling your back up, hold for 10 seconds.